Set within 400 acres of the beautiful sprawling greenery of Limuru, Tilisi is the new city in town, which redefines the essence of business, lifestyle and leisure.As a master planned and managed development, with world class infrastructure, Tilisi encompasses logistics, residential, educational, medical, recreational, hospitality, commercial and retail uses - ultimately offering a corporate and community experience. 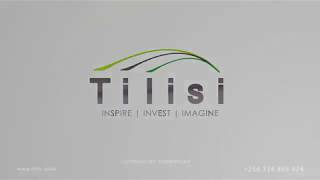 Tilisi, as the master developer, is providing fully-serviced land parcels for investors to purchase and develop. Construction of the infrastructure for Tilisi Logistics Park, Phase 1, is complete. Phase II has opened with a 47 acre sale to Chigwell Holdings Limited and we are now selling land to developers for educational, medical, retail, commercial and residential uses. Furthermore, we will also be launching our own housing project in July 2019, building 184 units of 3 to 5 bedroom town houses and villas. Tilisi is strategically located along the international highway on the beautiful landscapes of Limuru, Kiambu County – just 27 kilometers from Westlands. Tilisi boasts direct accesses off Limuru Road, the Nairobi-Nakuru highway and Ngecha Chunga Mali Road. Both the Southern and Northern bypasses are less than 10 minutes away. Tilisi Logistics Park is our works precinct offering investors land parcels for light industrial and logistics developments in a clean, organised environment supported by quality infrastructure. Construction commenced in July 2017. Strategically located, occupiers at Tilisi can take advantage of both the Northern and Southern by-passes, which are less than ten minutes away. Tilisi Logistics Park will also be supported with facilities such as matatu lay-bys, a refueling station, localised shops and canteens to further benefit the staff and operations of Tilisi. Of the 90 acres, 49 acres have been sold to Africa Logistics Properties. Construction of infrastructure for Tilisi Logistics Park is now complete and Africa Logistics Properties will commence construction in Quarter 2019. Tilisi drone footage of gatehouse by night - LIT!! Ranee is responsible for the delivery and execution of the Tilisi development. She spent several years working at a FTSE-100 Company in London before returning home in 2013 to join SVG -the family business. SVG, which commenced in Textiles, now has a well-diversified portfolio of companies in several industries including plastics & packaging, agriculture & processing, floriculture, property development, food & services and fund management. Ranee has a BSc in Mathematics and Business Studies from University of Warwick and is a qualified Chartered Accountant. 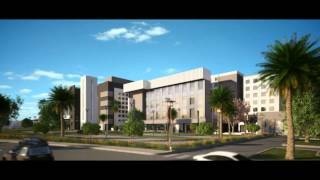 Kavit is responsible with the overall strategy and implementation of the project. Since returning to Kenya from the UK, Kavit has 7 years of experience in various sectors in the real estate market including the middle income and high-end residential, retail and commercial space. He has played a key role in the execution of Greenspan Estate, a residential and shopping mall project on 50 acres in Donholm and Solitaire on General Mathenge – 24 luxurious duplex apartments. Mumo’s career at PLANNING has focused on building design, urban regeneration and sustainable development. He manages PLANNING’s portfolio of projects in Kenya, Uganda, Tanzania and Rwanda. As a team leader, Mumo is responsible for Structuring Projects, setting up Project teams, facilitating and coordinating the implementation of projects and negotiating briefs and project approvals with local planning and approval authorities. Mumo is currently leading the Consultants’ teams responsible for the creation of Tilisi. Cameron is an Urban and Regional Planner / Development Manager with over a decade of international experience in Australia, Europe and Africa. Cameron has a passion for development, drawing from his experience to merge the built environs with environmental considerations and delivered to a specific business plan. Recent projects have focused on large city scale, mixed use developments with associated infrastructure, to address the housing, employment, environmental and infrastructure needs in Africa. Simon is responsible for the overall Construction Cost Management of the project. Simon has over 25 years’ experience in Construction Cost Consultancy, and has worked on some of the largest and most prestigious real estate projects in East Africa. Simon graduated from Curtin University Western Australia, with a degree in Quantity Surveying. Peter has over 30 years’ experience as a civil and structural engineer carrying out detailed design, construction supervision and design reviews of major infrastructure projects. He has supervised and managed assignments in several countries in Africa including Uganda, Kenya, Ghana, Rwanda, Tanzania and South Sudan. Committed to providing high value strategic and technical consultancy, Peter has applied his expertise in his role as project manager in charge of quality assurance for road and drainage designs as well as overseeing the Howard Humphreys team supervising construction. As the Howard Humphreys project manager in charge of the design of Tilisi civil infrastructure, Bernard has brought into the project significant knowledge and experience gained over 20 years in similar master planning assignments and other large municipal infrastructural projects successfully executed. Bernard is a consulting engineer managing water and sanitation division in Howard Humphreys – an Atkins company, he is driven to meet stakeholders’ aspirations and community needs by ensuring infrastructure is designed and developed to support innovative projects that enable a better quality of life. Eng. Naresh is responsible with the overall masterplan and Reticulation for the High Voltage and Low Voltage Power Systems of the project. Eng. Naresh has been practising engineering for over 40 years in the East African region. His experience in the industrial sector, hospitality sector, data centres, real estate market including the middle income and high-end residential, retail and commercial space, is an asset for the project. He was the founder of Power technics Ltd established in 1982. Eng. Naresh, is a graduate from Bangalore University, Qualified Electrical Engineer, Registered Consulting Engineer with EBK, Fellow of IEK. Esther is an advocate of the High Court of Kenya practicing with the Firm MMC Africa Law. She participates in both the transactional work and management of the Firm. As a transactional lawyer, she heads the Commercial and Property Department and in this respect she specializes in real estate law, land use planning and project structuring. Esther is in charge of the human resource and administration functions of MMC Africa Law. She holds a Bachelor of Laws degree from the University Of Nairobi, Kenya. She also holds a Diploma from the 12th African School for International Financial Law, Cape Town. Graeme has played a key role in developing approaches to urban management and infrastructure development on large scale developments in various countries in Sub-Saharan Africa, including in Kenya the 2,500 acre development Tatu City and the 100 acre Two Rivers developments. Graeme has been involved in structuring the urban management and infrastructure levies at Tilisi. Commissioning of the new water pipes that serves the Rironi Community, duly sponsored by Tilisi on February 9th 2018. On 29th November 2017 we had the privilege to support Gatimu Primary with desks which will go a long way in empowering our children through education. An awesome day full of activities such as bouncing castles, fun games, puppet shows was how we spent the entire day of 6th August 2015 together with the little kids of the Gatimu D.E.B nursery school. 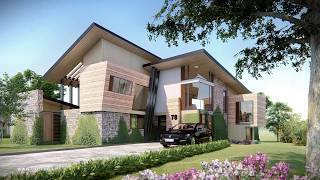 © 2018 Tilisi Development Ltd.